Security Memetics: Y'know who's even harder to kidnap than fat people? Y'know who's even harder to kidnap than fat people? Forget fat people being harder to kidnap. 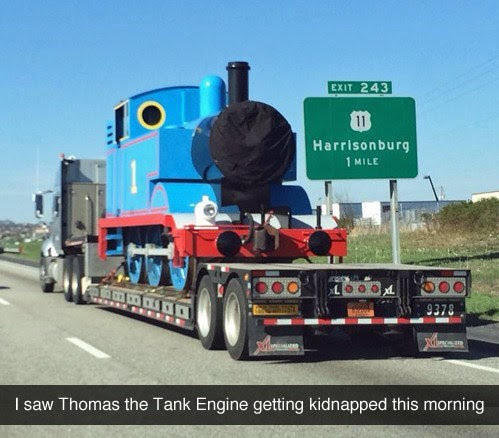 TRAINS are harder to kidnap, and yet here we are. So don't rely on that spare tire around your midsection protecting you from kidnappers.